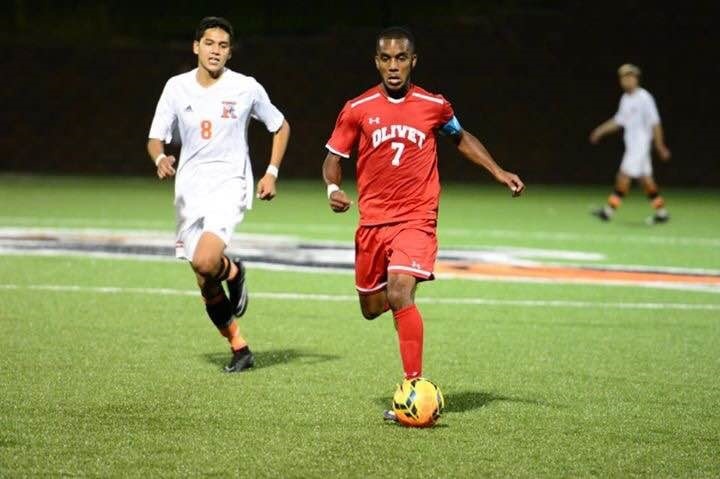 Dewitt High School is soccer is excited to announce former Olivet College soccer standout Jared Wilson-Santos has been named the JV boys soccer coach. While playing at Everett, Wilson-Santos was named to the LSJ Dream Team after his senior season. He tabbed 23 goals and 18 assists in the 2010-2011 season. Upon graduating from Lansing Everett High School, Wilson-Santos continued his education and soccer career at Olivet College where he was named to the All-MIAA First Team his senior year. He currently plays for Lansing City Futsal of the MLF. Jared brings a wealth of experience through playing, coaching, reffing and viewing soccer matches. The JV boys kicked off their season with an 8-0 victory over visiting Grand Ledge.